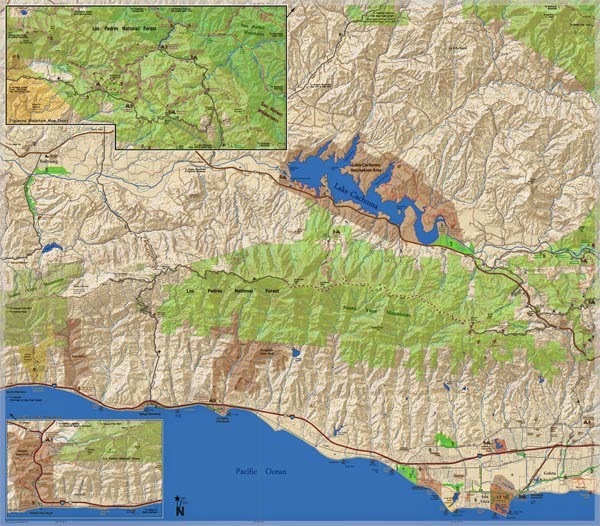 The brand new ultimate Santa Barbara Map is here! 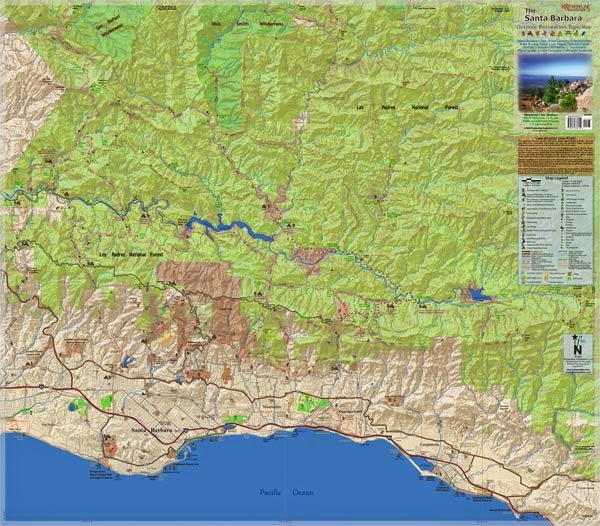 The Santa Barbara Outdoor Recreation Topo Map: Hiking, Mountain Biking, Rock Climbing, Wind Sports, Beaches & Surf Breaks, Trailheads, Camping, Hot Springs, & More in the Santa Barbara Coast, Front Country & Backcountry, State & Local Parks, Los Padres National Forest, Gaviota, Goleta, Montecito, Carpinteria, Figueroa Mtn, Lake Cachuma, Gibraltar Reservoir. Its on Amazon; and coming to southern california retail locations soon! 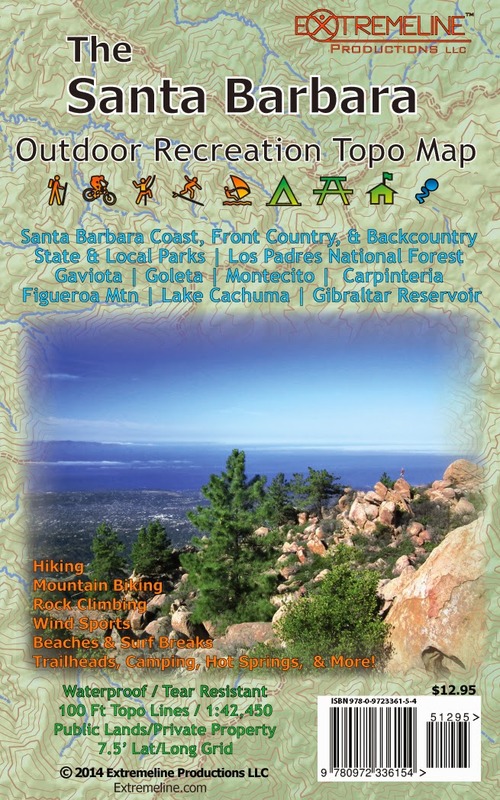 Also the updated 3rd version (summer 2014) of The Kern River Outdoor Recreation Topo Map is now in shops in the Kernville area and across the southern california. 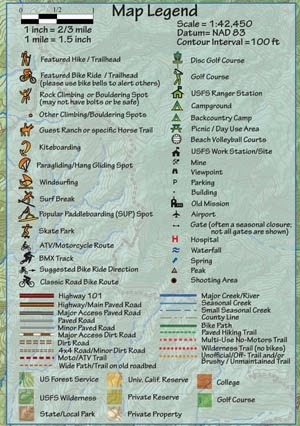 The new update includes the new re-routes on trails such as the Kern Canyon Trail and Portuguese Pass, and other changes to roads and trails throughout the Sequoia National Forest & BLM; clearer distinctions between motorized and non-motorized trail fonts; new peak symbols for clarity; some more mountains/elevations, viewpoints, climbing spots, and more....!! !